Direct Burial Preformed Loop - To be installed in a concrete pour, gravel road, under asphalt, and pavers. Install the highest quality loop, save time, and reduce service calls by using a BD Loops preformed loop. Features: For installation under concrete, asphalt, gravel, and pavers. 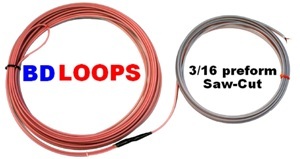 14 AWG loop wire designed for superior performance. Tested 3 ways with meg-ohm meter, inductance tester and live detector. Installation kit includes: cable ties, ground stakes, and loop lead-in labels. Easy to follow installation guide. 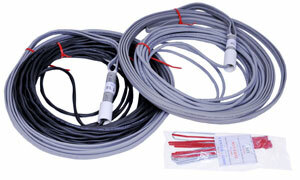 Loop wire meets UL standard 493 for direct burial. MADE IN THE U.S.A. Pre-phased at factory for an easy hook-up.